Business has not looked better for Arby’s franchises. You can get in on the growing business by investing in an Arby’s franchise. This fast food company offers some of the best deals while serving a huge crowd of loyal customers. How profitable can it be, actually? Let’s have a look at how Arby’s franchise business owners are reaping the benefits. If the industry projections are anything to go by, market analysts list the sandwich and sub store franchisees as one of the fastest growing in the dine-out sector. And, keeping a close eye on the health trends worldwide, companies are looking at low fat options to keep them thriving in the business. At any rate, and considering statistical data, Americans on an average consume 300 million sandwiches, daily. What more can you ask for your business? With the second largest sandwich service chain in the nation, there is a good chance of success. In recent years, Arby’s has grown at three times the rate of the average quick-service restaurant or fast food restaurant. This is very promising information for the prospective Arby’s franchisee. In addition, Arby’s has reported same-store sales increases, increasing transaction counts and company record-breaking AUVs. If you want to buy into a franchise that will be able to provide a steady income for years to come without worrying about listing your business in the Yahoo business directory just to find customers, an Arbys franchise is the way to go. Arby’s started its business legacy way back in 1964, dedicated to serve the best alternative to hamburgers to the food-loving nation. They started franchising almost immediately, with their first licensed store opened one year after establishment. Thriving on simple roast beef sandwiches and their innovative curly fries, the store soon grew to be a leader in the market. With presently 3400 stores at various locations all over the nation, you can be sure about your business running on the right track. For any business to be viable, customer satisfaction is key. With an Arby’s franchise, you do not have to brainstorm how to capture new trends in the market. Serving people for more than four decades, the Arby’s franchise company knows what works for their customers. Arby’s has been involved in progressive market research to keep its customers satisfied introducing newer products that sell very well. Now, would you like a fleet of happy customers lining up in front of your store, the minute you open your store? With particularly drool-worthy options, Arby’s franchise has been ensuring satisfaction for a respectable amount of happy customers. Moreover, Arby’s has been voted as one of the best franchisors. The training module is developed specifically for the needs of the industry, comprising of an intensive on-site 7 weeks program. 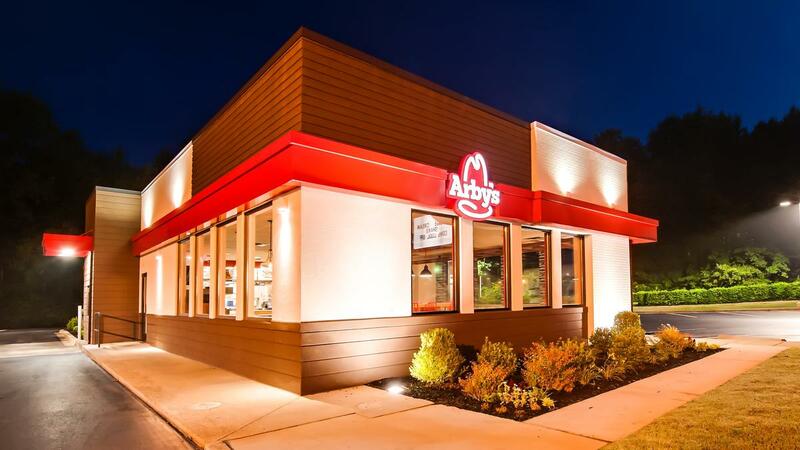 Arby’s also provides hands on involvement with design planning and market research to ensure success in your local market. The franchise program also comes with an extensive online support to aid in the training process any time, any where. That means you will never have to worry about creating an employee survey on your own to improve employee morale. This is a huge benefit for any prospective business owner. Arby’s may not be the most nutritious food out there, and with places like Muscle Maker Grill available, it certainly is not the healthiest franchise opportunity. However, in comparison to places like McDonald’s and Taco Bell, Arby’s has proven to be much more nutrition conscious. Arby’s nutrition info is available online and upon looking at it, you would probably assume that it is incredibly unhealthy. Which, unfortunately, it sort of is. But it is far and away from being the most unhealthy fast food chain out there. The restaurant’s most calorie and fat laden dish still contains less than average items from other fast food chains. This may help to bring in customers who are nutrition conscious but still need a quick bite to eat. If you are looking to buy a fast food franchise, an Arbys franchise may appeal to both the health-conscious and those who are not. That means more customers and more money in your pocket. The market has great opportunity for people like you to start a proven business model and earn big returns without having to worry about the best ways to invest in stocks. Buying an Arby’s franchise, you can gain the time-test knowledge and experience of a successful sandwich making food chain. There is still plenty of market share to be satisfied. The Arby’s franchise program could help you profit from the growing company.